Thank Your Lucky Stars, it's a full set of autographs! 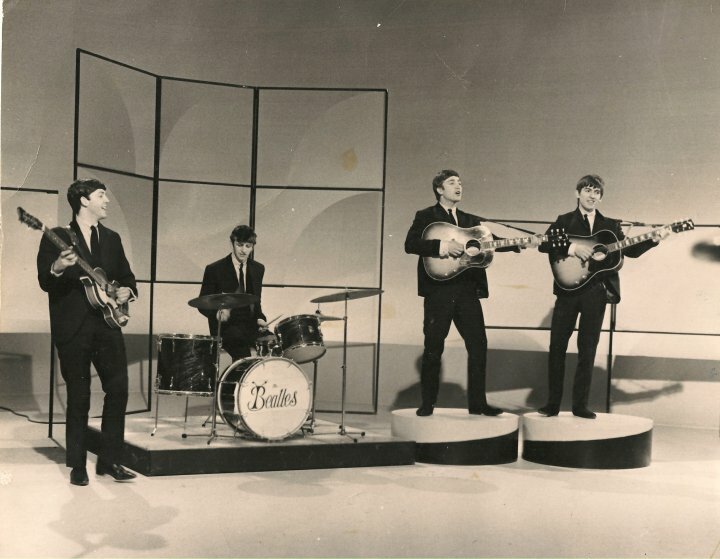 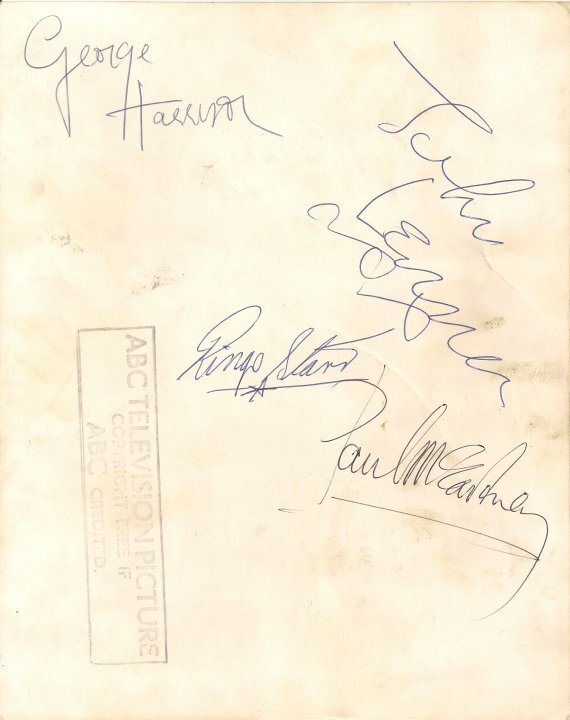 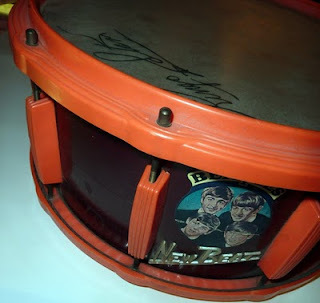 This complete set of Beatles signatures is on the reverse of an official ABC TV still of the Beatles first appearance on National TV on Thank Your Lucky Stars. 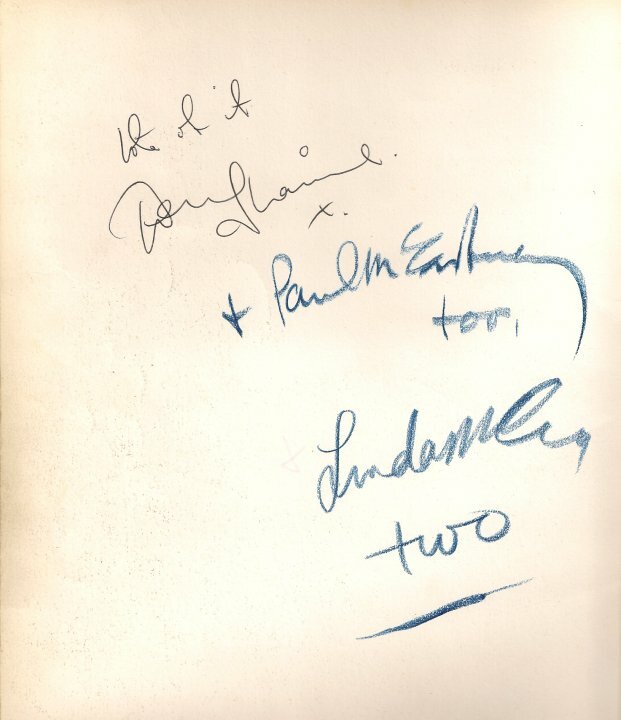 The signatures were obtained when the band returned to the studio at a later date to appear on the show again. 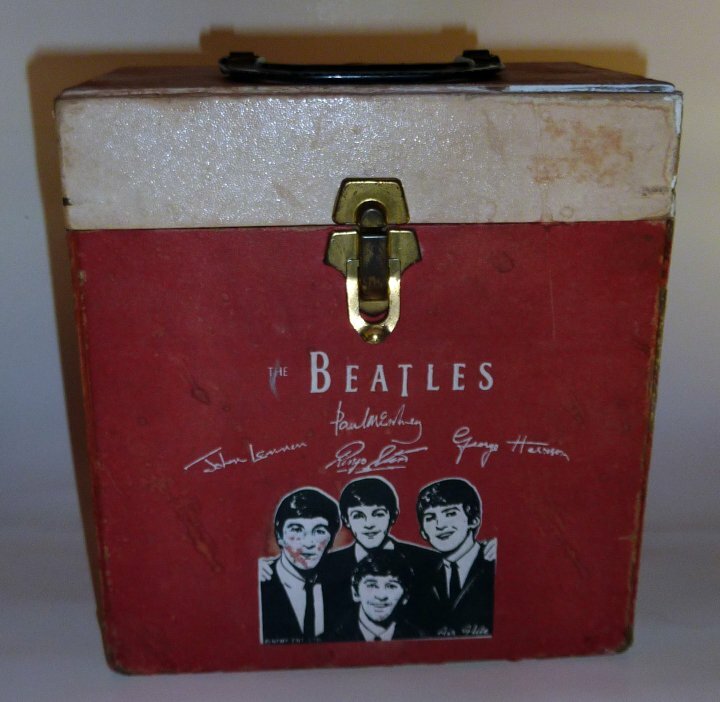 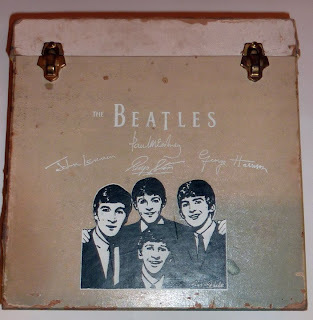 If you had Beatles records you'd need something to keep them in - how about a Beatles record case? 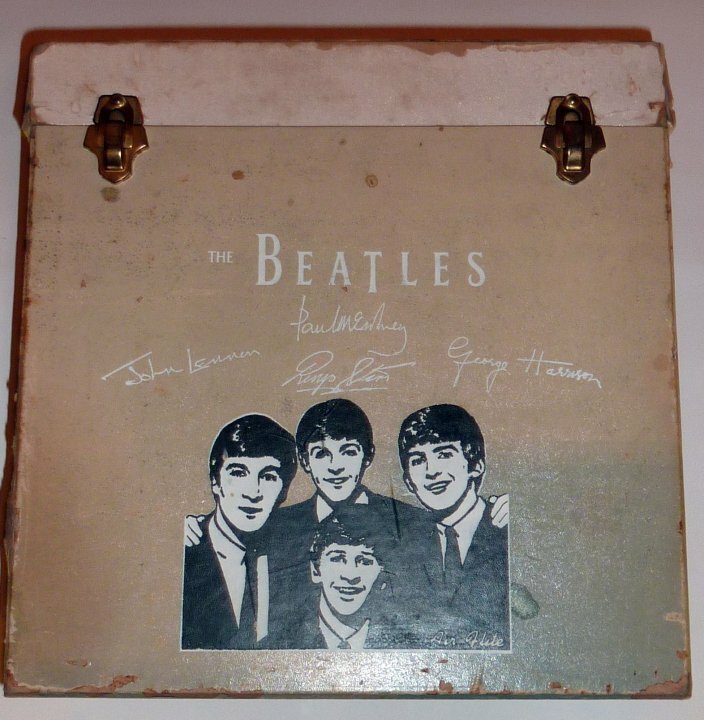 The first two record cases shown are made by Air Flite. And this round Disk-Go-Case singles case made by Charter Industries is from 1966. 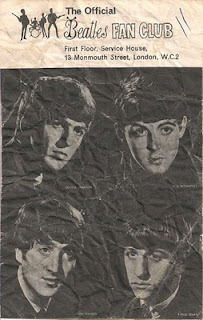 As well as programmes for tours and runs of shows, occasionally there were programmes for one off concerts. 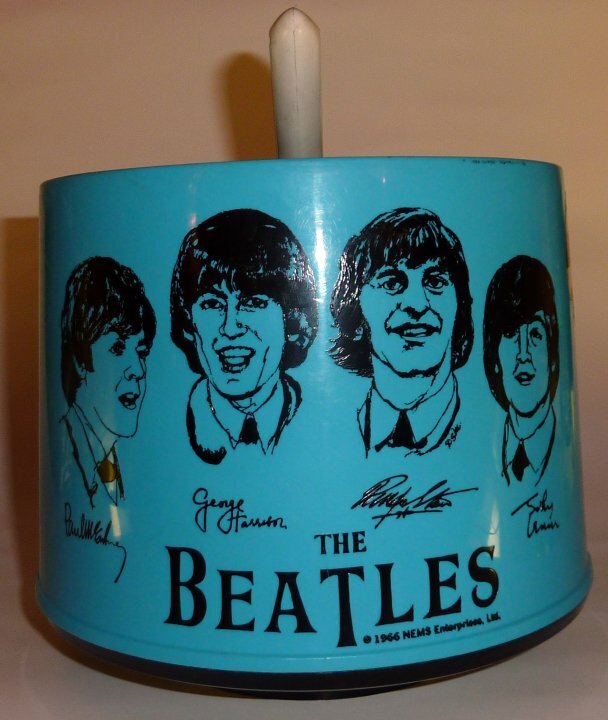 Here are a few examples that are up for sale in our forthcoming auction. 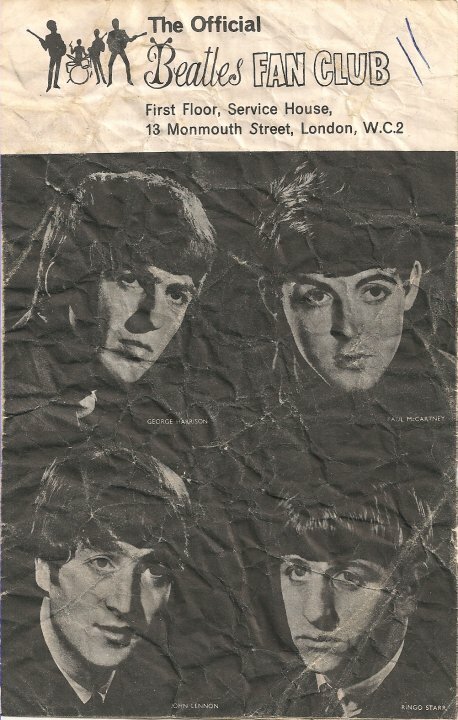 Original 1960s handbills are very rare items of memorabilia, because they were throw-away things, often binned right away or shortly after the event they advertised. 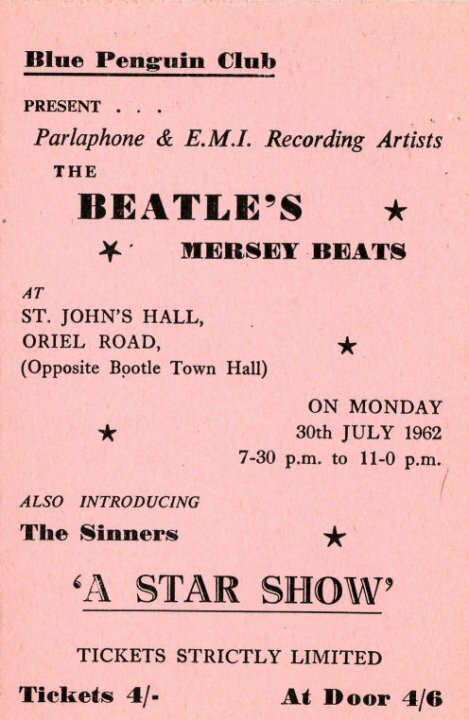 This handbill is from July 1962. 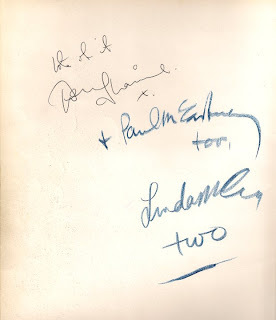 It is for a concert on 30th, and the Beatles had only signed for EMI/Parlophone at the start of that month. 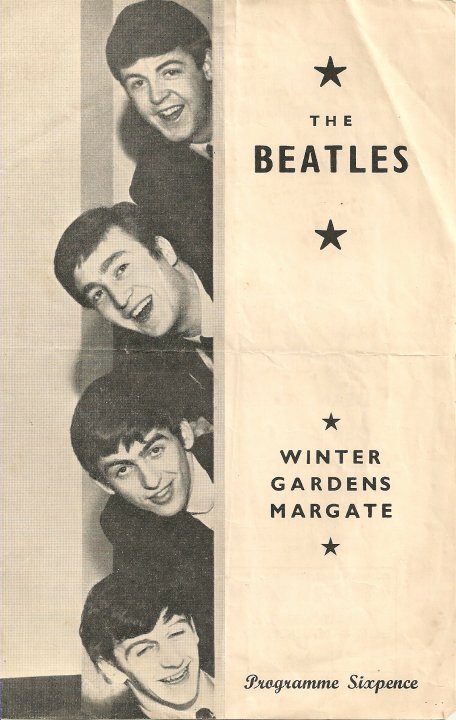 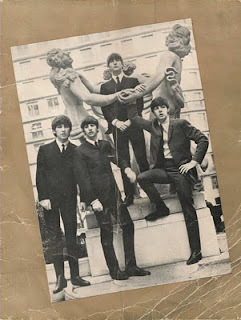 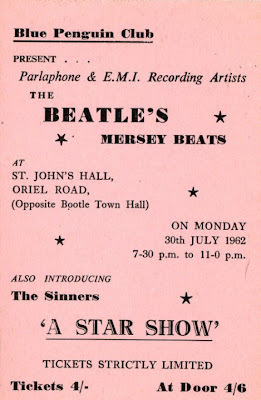 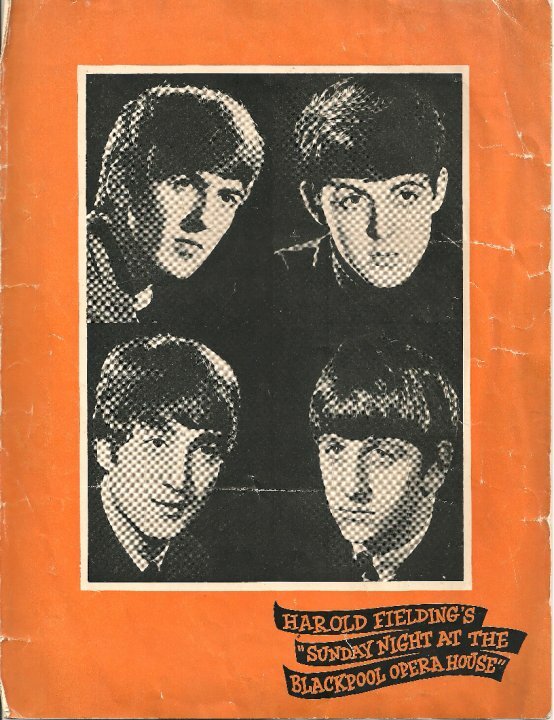 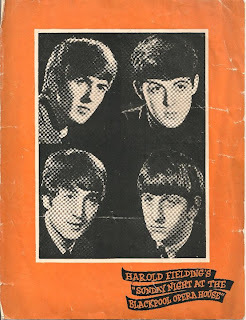 The Beatles played at the venue five times in 1962, and this handbill is for the last of those dates. 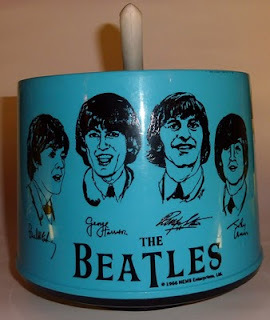 Pete Best would have still been with the band, as Ringo did not join till the August. 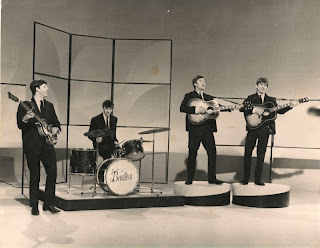 And of course, although freshly signed to EMI, the band wouldn't have a single out till the October.